Over the years the authorities have made various changes in the EPFO for the benefit of the employees. Some of the norms such as the withdrawal options have been relaxed under which the subscriber does not need to give any form of declaration while applying for the advance claim. These amends in the polices have been made so that the better utilization of the funds can be done. Only recently, there have been more changes induced in the whole process of EPFO to make it simpler. 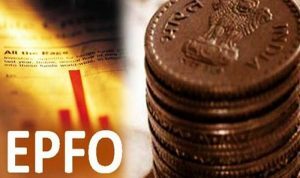 There have been host of changes in the EPFO that the subscribers should know about. While some have already got approval, others are under the review and would be passed soon. Online Filing – Under the new rule one, if the EPF claim is 10 lakhs or exceeding, it is not required to file online. Under the revised rules and as per the circular dated April 13th, offline claims are accepted just like the online claims in all the cases. From now on the EPFO subscribers can file the claims online as well as manually for provident fund withdrawals. Earlier the claim settlement above Rs 10 lacs for Provident Fund and 5 lacs for EPS withdrawal claim, it was mandatory to submit the form in online mode only. However, the latest circular released suggested that various members have raised the grievances about the same and therefore both online and offline claims have now been allowed. Flexibility on Investment – The subscribers might soon be able to put more of their provident fund portion into stock through Exchange Traded Funds. Some portion of EPFO is invested in the stock markets through ETF already since 2015. In the year 2016, 5% of investible deposit was increased to 10% in 2016-17 and 15% in 2017-18. 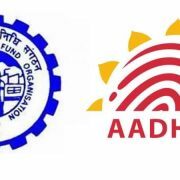 Latest reports suggest that the meeting of Employees’ Provident Fund Organisation’s apex decision making body Central Board of Trustees, there could be a decision over increasing the equity allocation above 15% which is the mandate investment in the equity as of now. However, subscribers would also be given the option to drop the percentage of investment below the 15%. Equity – Where the investment in Equity would show as the units and the return is calculated marked to market. The accounting policy has already got the green signal from the Central Board of Trustees or CBT, the topmost body of EPFO or Employees Provident Fund Organization.